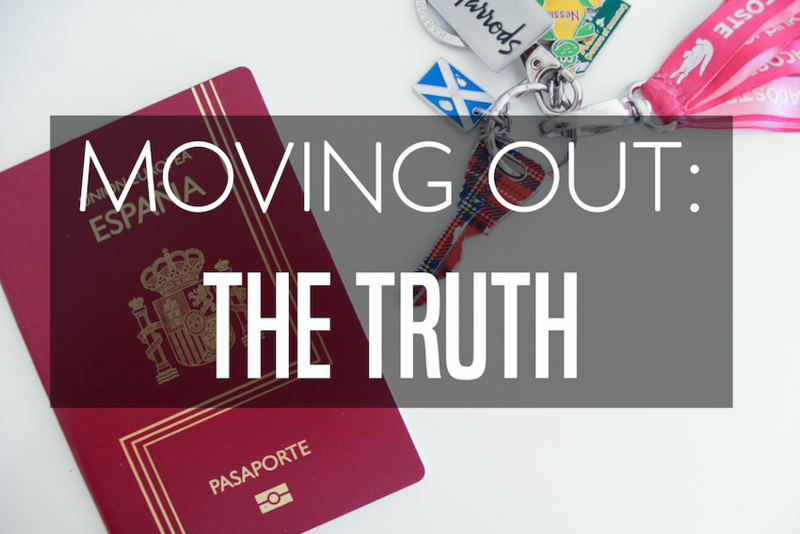 3 THINGS NOBODY TELLS YOU ABOUT MOVING OUT | RAWR BOWS. Moving out is exciting, isn't it? As much as we all love our parents and family, the thought of going apartment hunting, being independent and getting to have your own home appeals to most of us. I moved out when I was 17, I did not only leave my hometown but I also left the country I grew up in to go to my dream university in London. If you are moving out soon, whether you're going only a few miles away from your hometown or thousands of miles away, here are a few things you should know. When you're moving to a whole new place, it's likely you won't know anyone there and will spend a decent amount of time on your own. I was used to always being surrounded by friends at home, I barely ever did anything on my own. When I moved to London, I didn't know anyone and it felt wrong or weird to do something on my own. Now, however, I enjoy doing certain things on my own (and of course love making plans with my friends, too) and I've found I am way more productive when I am by myself. Yes, going to see houses or apartments is fun; unless you can't find one that you like without going over your budget. If you're moving to a big -and overpriced- city like London, finding something for a reasonable price is almost impossible, trust me I speak from experience. This can make apartment hunting a bit of a nightmare but try to stay positive and, eventually, you'll find the perfect home. When you live at home, clothes magically get cleaned, food magically appears in your cupboard and rooms are magically vacuumed. Well, you'll have to do the magic yourself once you move out. I personally love grocery shopping - I would even say it's a hobby of mine, don't judge me please- and I don't mind cleaning my room. However, I dread doing my laundry, which usually leaves me with almost 0 clothes to wear which results in me thinking I don't have enough clothes and I need to go shopping. Do your laundry, kids.